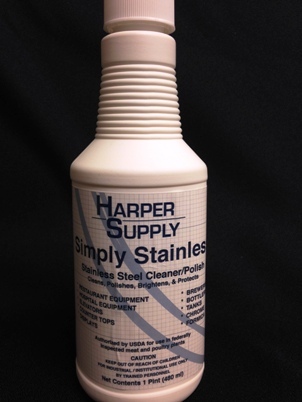 Simply Stainless is a water-based oil emulsion that removes smudges, fingerprints, water spots, and light grease deposits without leaving a greasy film. It forms a thin, satin-sheen finish that will not build-up, and it resists water marks and un-sightly fingerprints. Simply Stainless is excellent for polishing and maintaining stainless steel equipment, machinery, tanks, outside building trims, etc.